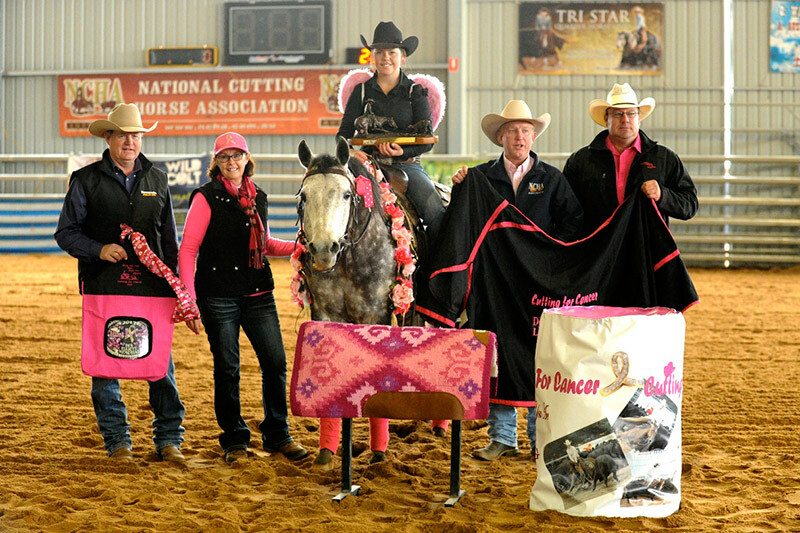 The Deb Elliott Memorial Ladies Cutting or Ladies Pink Cutting as it was known, is a unique event that was designed to promote the sport of Cutting and raise awareness and funds for Women’s Cancer. 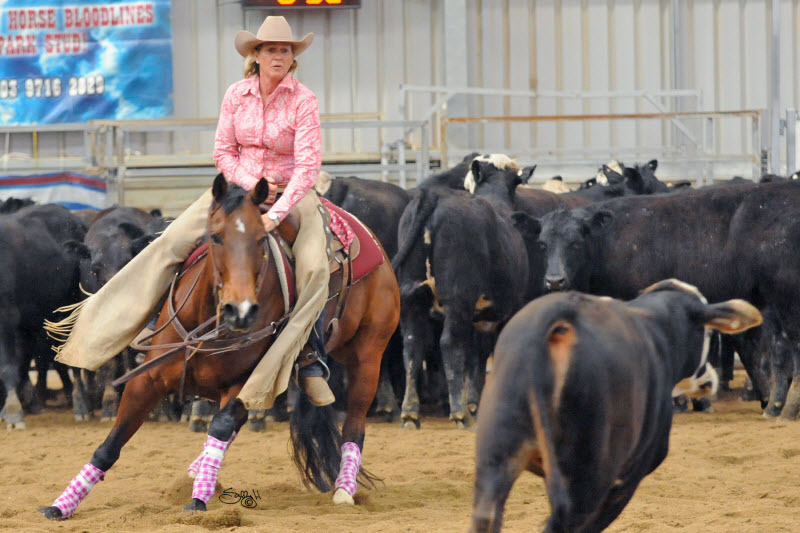 The theme since its inception was ‘PINK’. 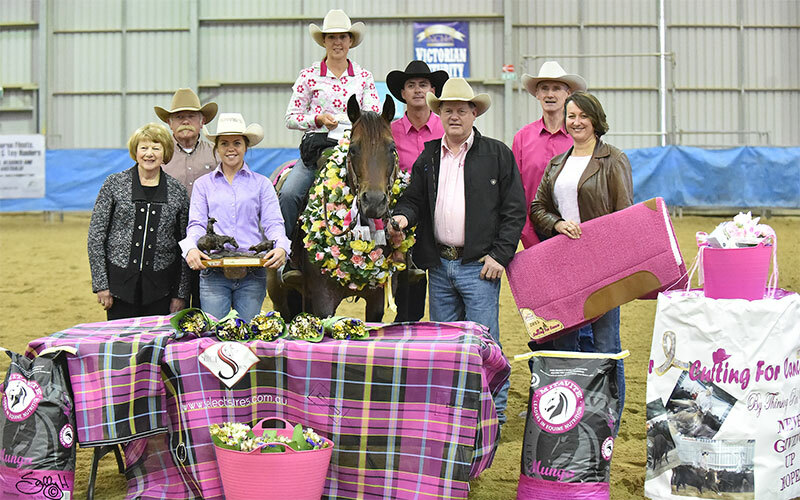 Each year it has been entertaining to see the creativity behind the sea of pink in the arena attire for both horses & riders……and judges! 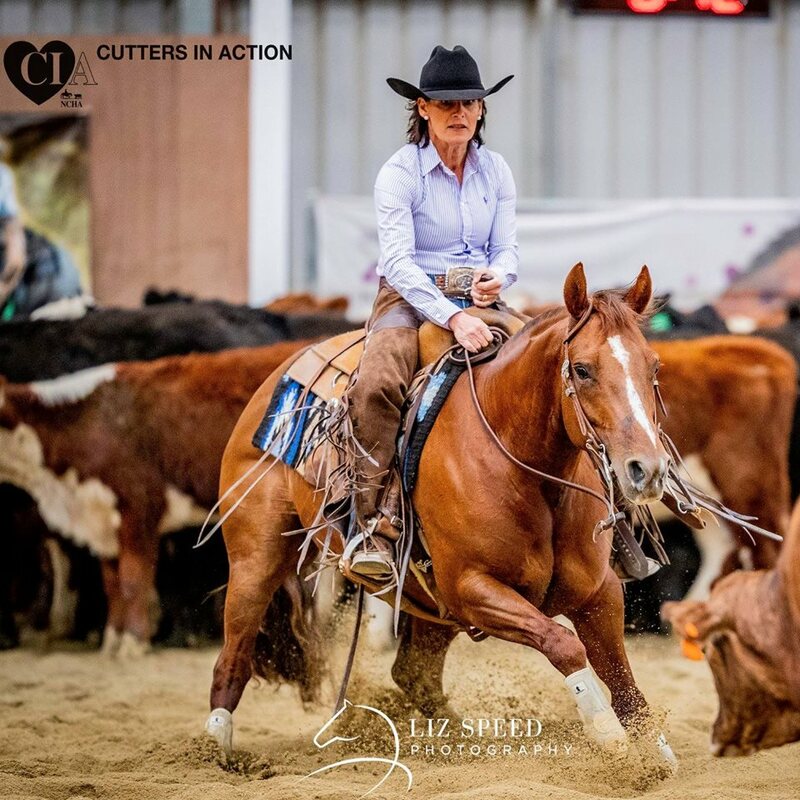 However in 2018 in light of tragic events within the cutting industry, a call was heard for the re-establishment of the CUTTERS IN ACTION (CIA). 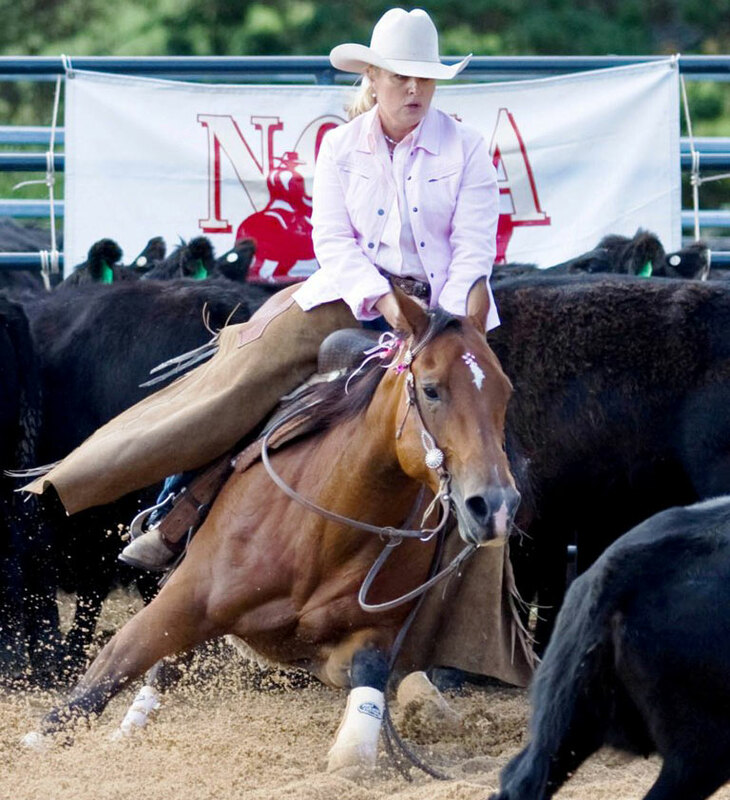 The purpose of the CUTTERS IN ACTION is to help the NCHA Members and its Community in times of need to ensure the health and well-being of its own and their families. 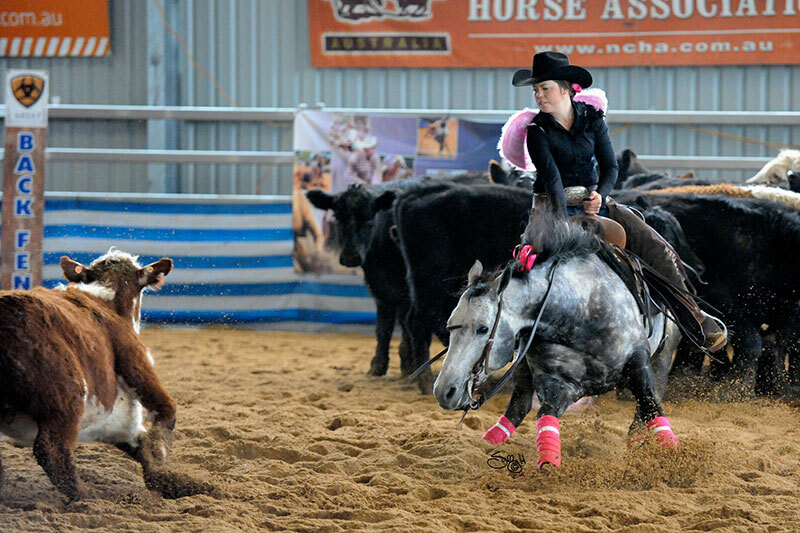 So, moving forward, funds raised during the Ladies Cutting event will be contributed to the CIA Fund. 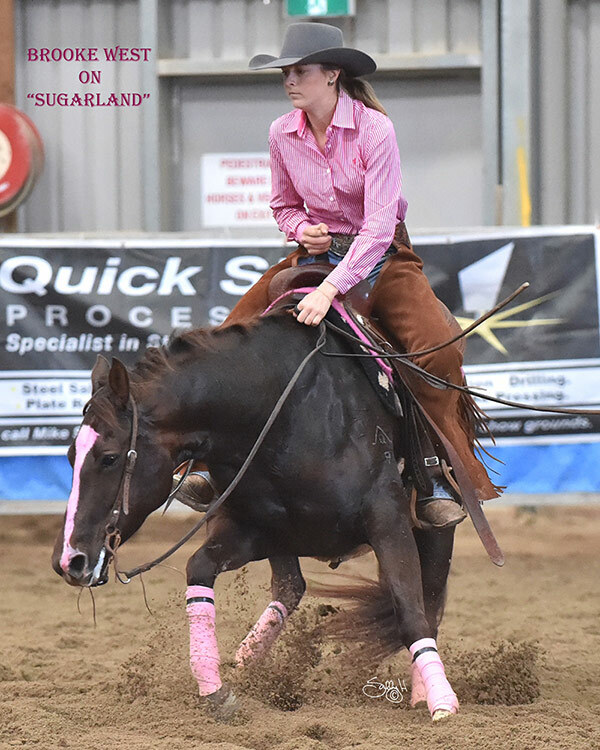 The Ladies Cutting will again be held during the Victorian Futurity (29th September, 2018) and will be run under the banner of the CIA ……..but with a fresh new look of PURPLE. 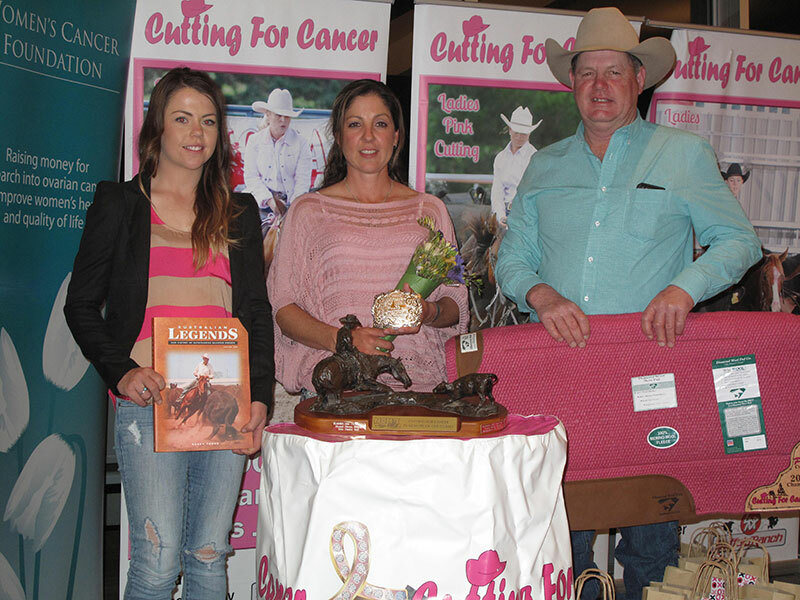 The event will continue to be recognised as the ‘Deb Elliott Memorial Ladies Cutting’, but instead of the PINK CUTTING it will hence forth be called the PURPLE CUTTING. 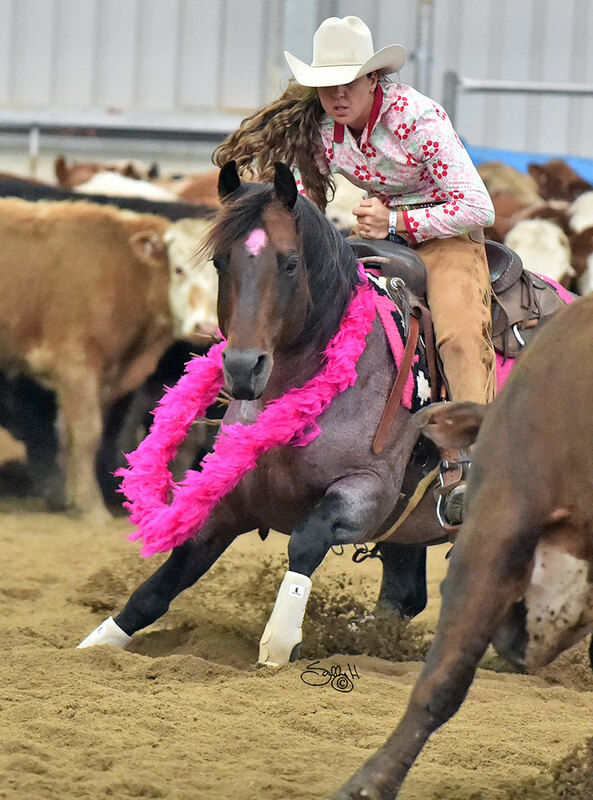 Whilst the competition is serious the event is relaxed, with a fun filled air and respect shown to the ladies of the industry who behind the scenes offer so much support to the men folk, whether they are hubby non-pro’s or trainers. 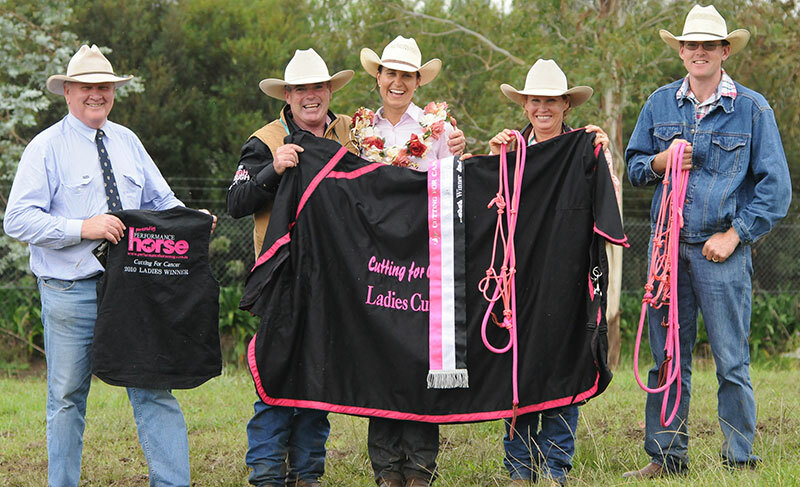 The Ladies Purple Cutting is a day for the ladies to have their moment in the sun, cut some cows and have some fun, all for a good cause. 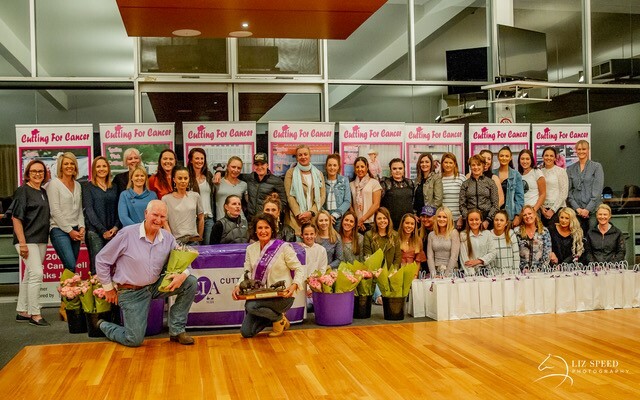 Each lady is individually presented during the evening with a ‘boot bag’ full of donated purple goodies. 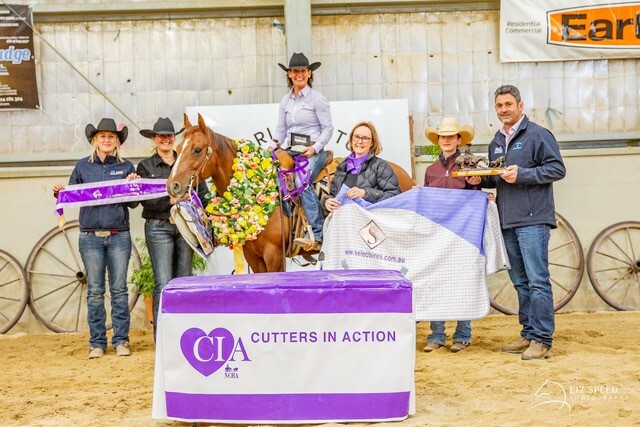 Visit The-Purple-Cutting-Cutters-In-Action Facebook page to see the incredible extent of sponsorship and donations to this extremely worthwhile cause. 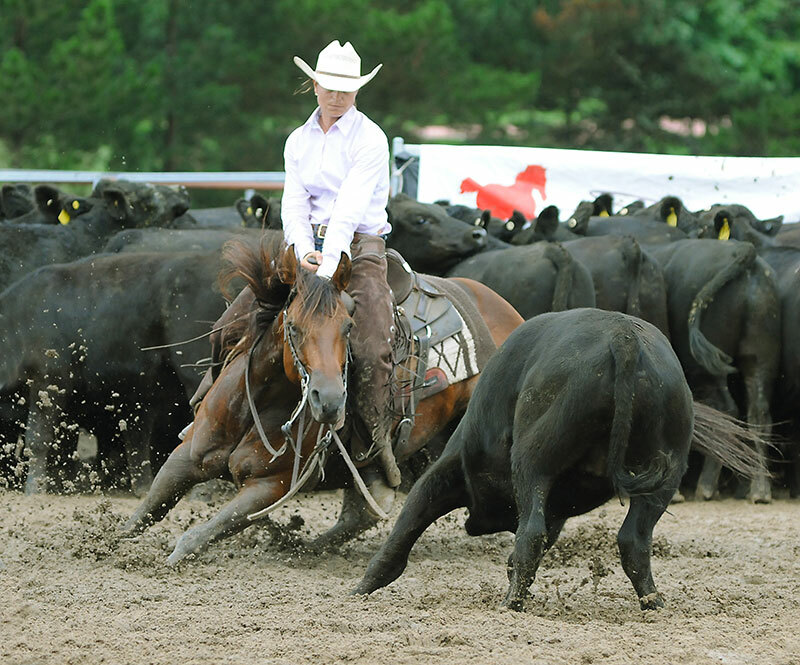 Can pay a day fee to show if not a full NCHA member. 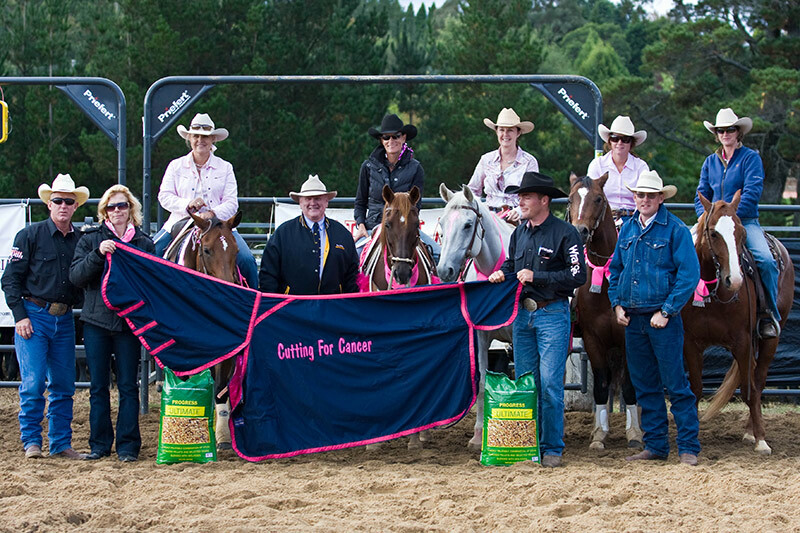 Lady competitors are encouraged to prepare & donate a hospital ‘Patient Care Package’ that is passed on to country patients at the Jean Colvin Centre in Sydney through Can Assist. The event was originally run under the banner of the Southern Cross Cutting Club of which Sally Bonello was Show Secretary for 5 years. 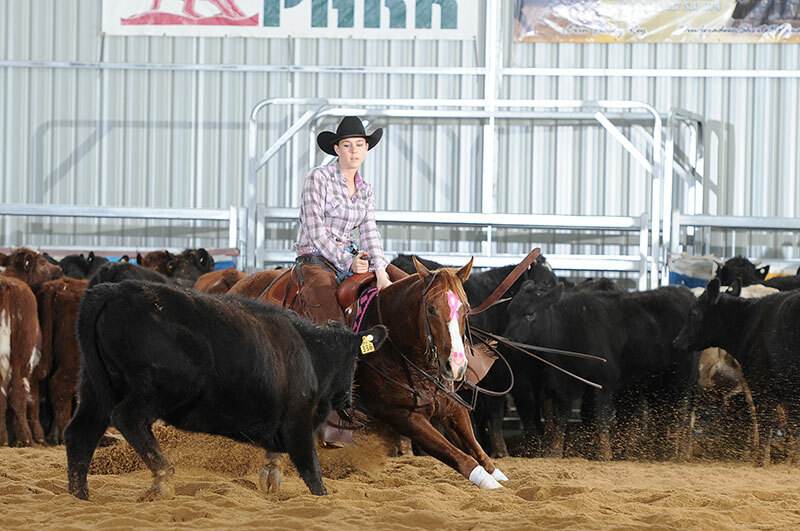 Following the wash out of the event on the second day in 2010, it was decided, in consultation with the NCHA, to move the event to an indoor venue. 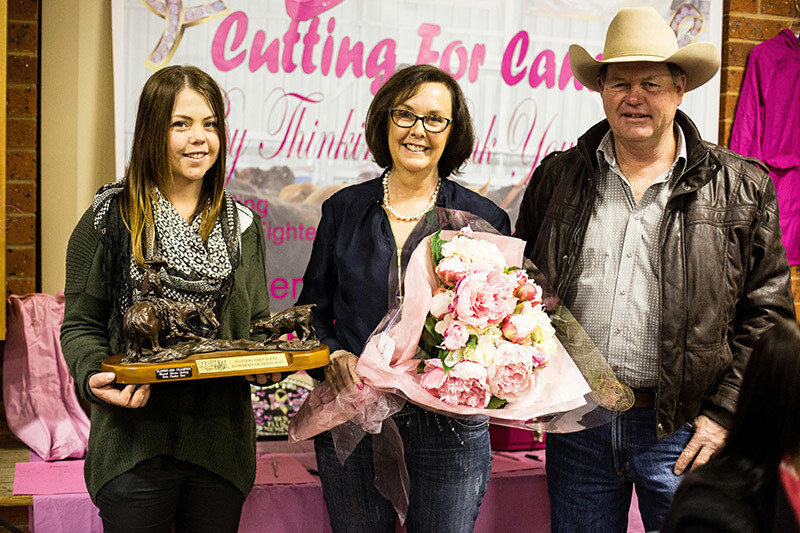 In 2012 the event was renamed ‘The Deb Elliott Memorial Ladies Cutting’. 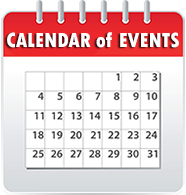 Deb was a very popular member of the Cutting Community & had supported the event with her hand-made quilts for the auction. 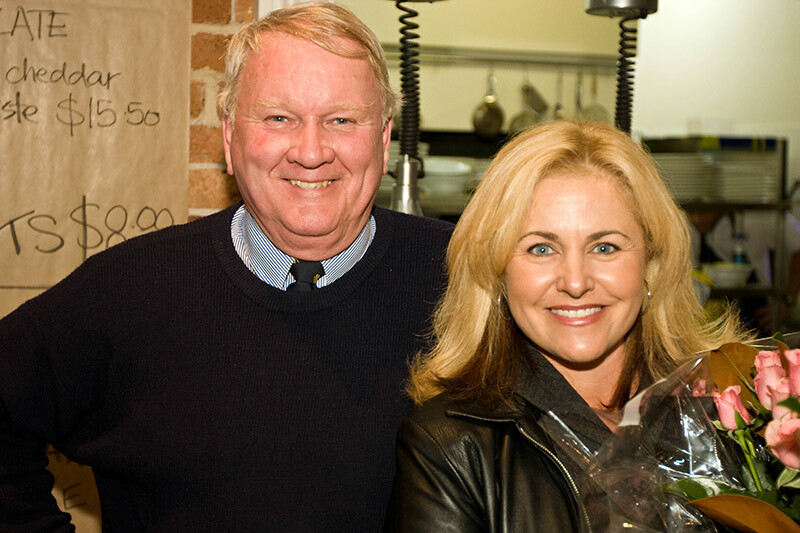 Sadly Deb lost her battle to Cancer in November 2011. 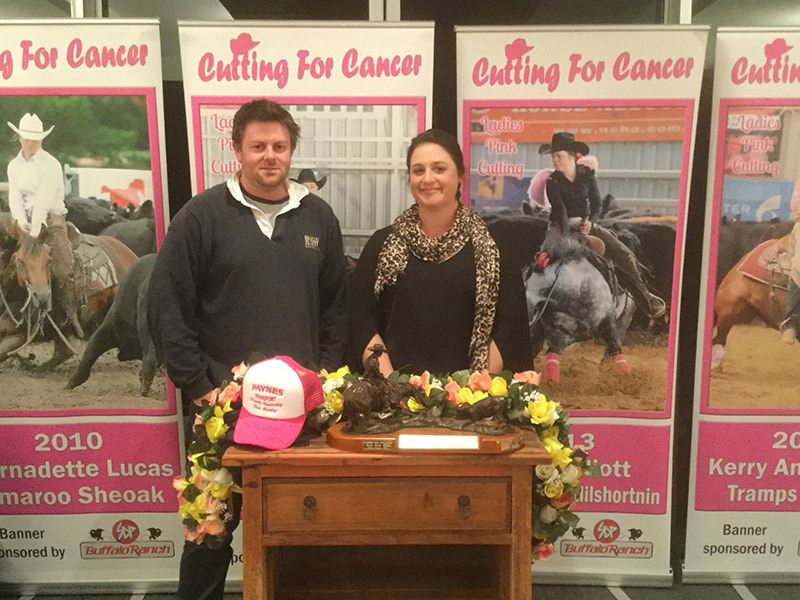 $7,900 raised for Cutters in Action. 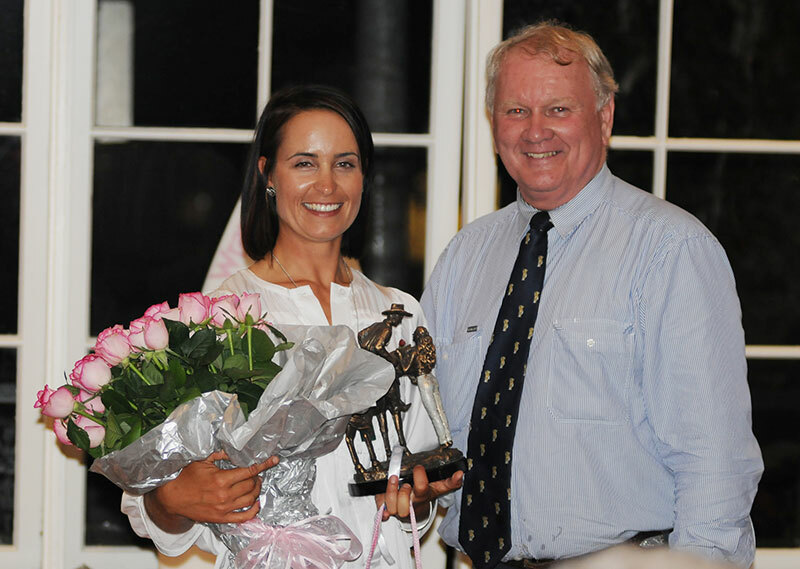 In total the auction raised $15,065 for the Women’s Cancer Foundation. 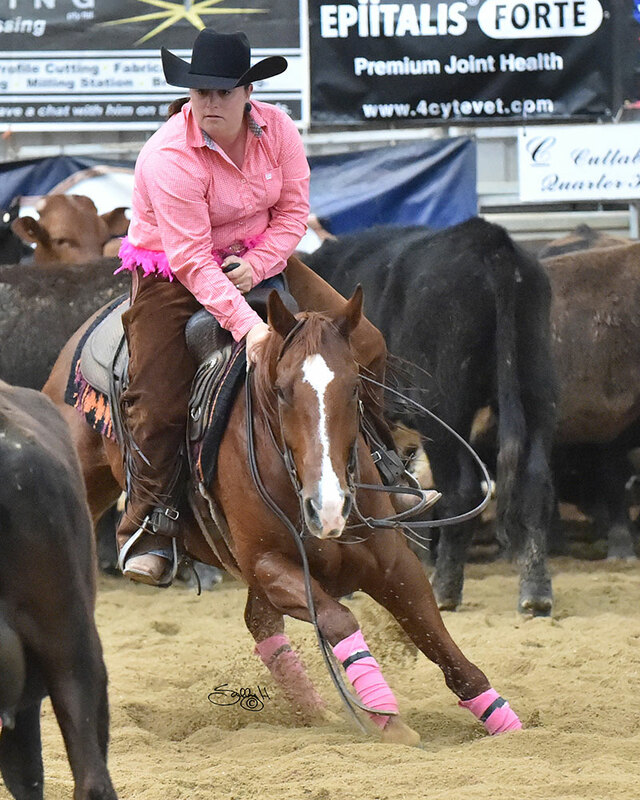 Around $15,000 was raised for the Women’s Cancer Foundation. 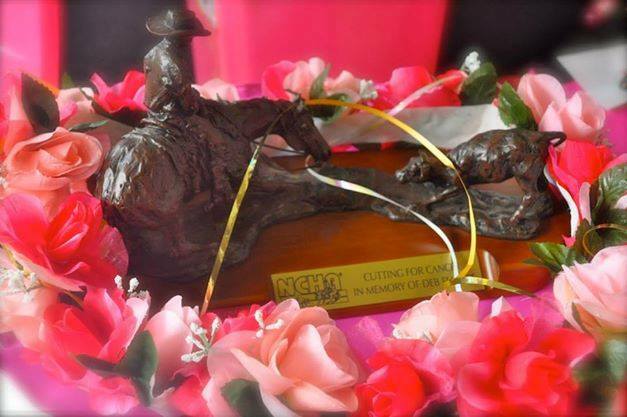 $14,035 raised for the Women’s Cancer Foundation. 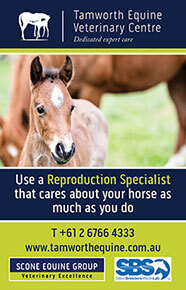 View Slideshow under tab on One Roan Peptos’ page. 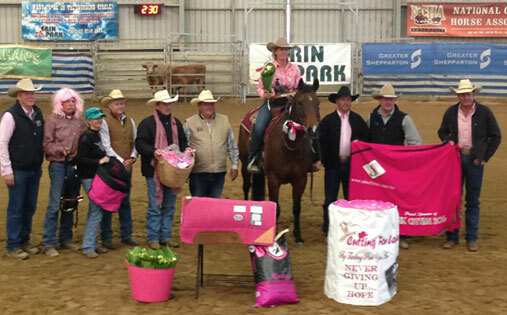 $5,140.50 raised for the Women’s Cancer Foundation. 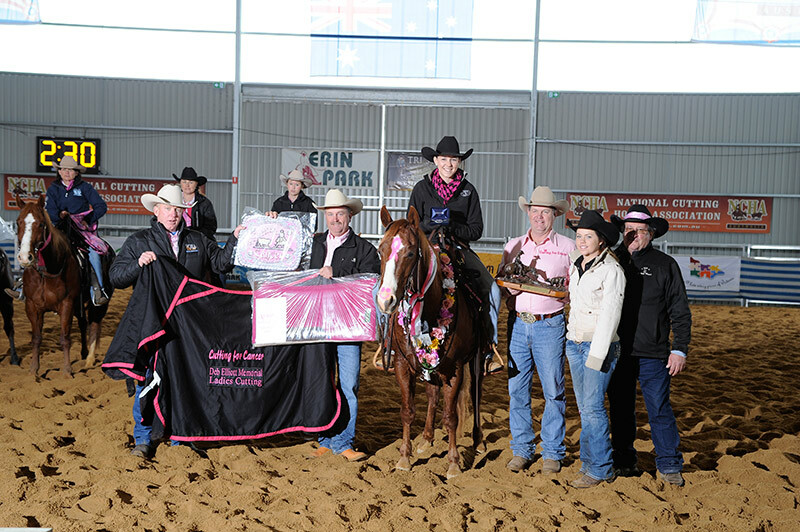 $14,120 raised for the Women’s Cancer Foundation. 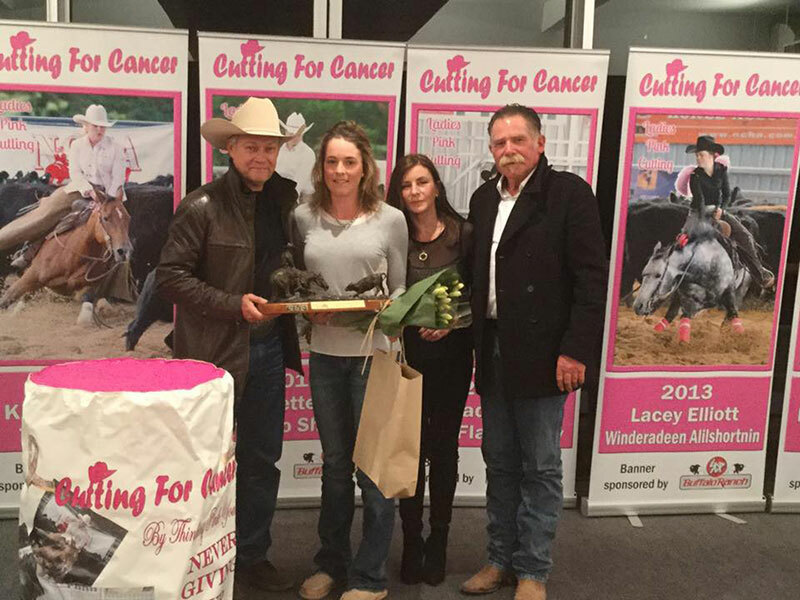 $23,000 raised for the Women’s Cancer Foundation. 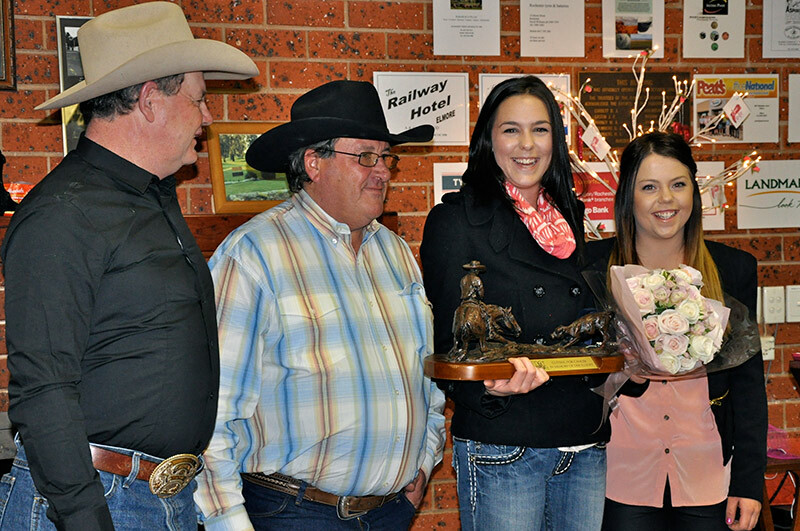 The event was then moved from Moss Vale to be held in conjunction with the NCHA Victorian Futurity. 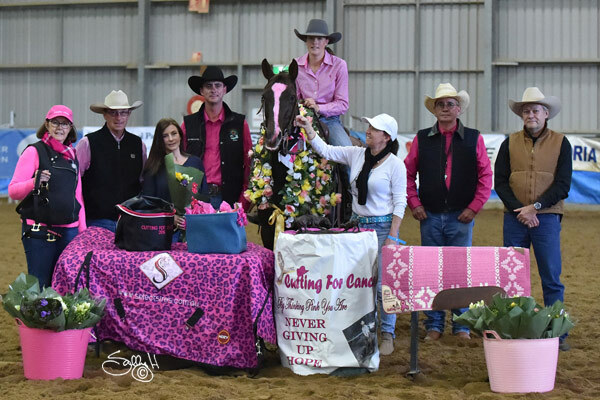 $27,500 raised for the Women’s Cancer Foundation. 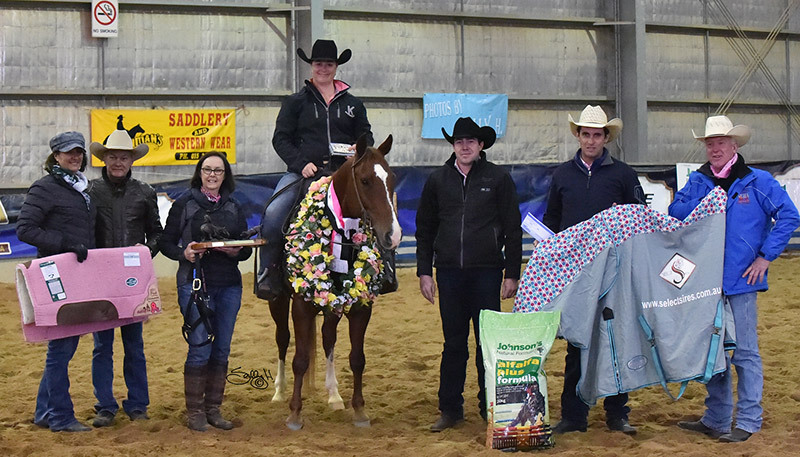 $14,500 raised for the McGrath Foundation.